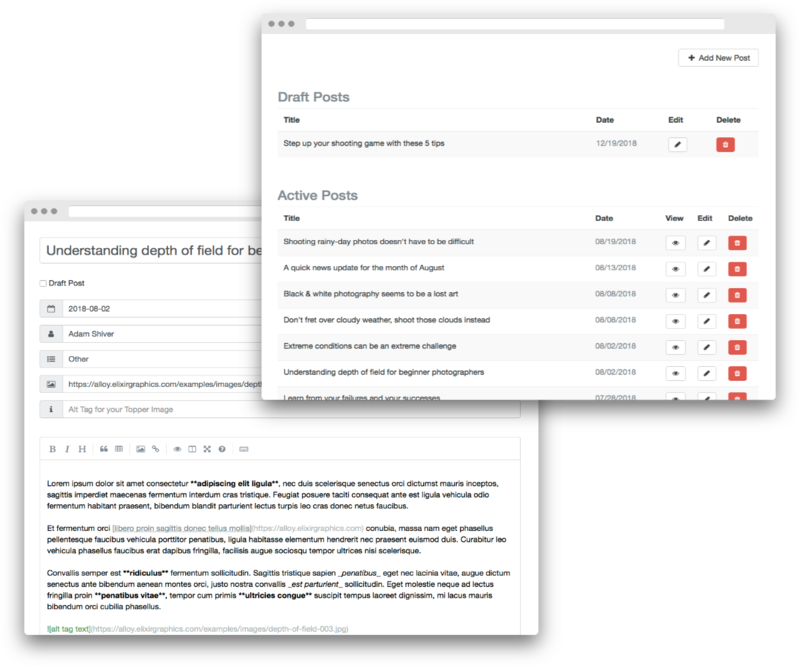 Alloy includes an Editor stack, which allows you to manage your blog directly from your site -- create, modify, delete and backup your posts online! This stack will allow you to create a backend for your blog. This secured backend allows you to create, modify and delete blog posts directly from your website without needing to use your FTP software to upload blog posts. We offer a wide variety of tutorials for Alloy with topics ranging from the basics of getting started to more advanced topics like using the Alloy Conditionals stack. This section, as well as the Password setup portion of the Editor's settings, are important in configuring your blog's backend. So much so that we've created a video below to get you started! This is where you will configure the user name for your login. This is where you will paste your hashed password, which you will receive when you're using the Setup Password feature. PLEASE watch through the video above to see how this process is done. This hashed password system provides a secure method of verifying your login, keeping your password from being published to the site. Enabling this feature and then publishing your page will put the Alloy Editor into Password Setup mode. This allows you to created a secure hashed password. After creating your hashed password you will copy and paste it into the HASHED PASSWORD field above. Once you've done so, disable this feature and once again republish your page. Your secure password has now been configured. Please be sure to watch the Password Configuration video above. Your user login screen features a logo above the User Name and Password fields. Normally it is the Alloy icon, but if you'd like you can enable this Custom Logo feature and provide your own logo. The logo must be no larger than 128 px tall. The Editor stack will scale down your image to be a max of 128 px tall. It is recommended to simply use a 128 px tall image though. This field allows you to customize the placeholder text for the User Name field on the login screen. This field allows you to customize the placeholder text for the Password field on the login screen. You can insert your own custom text for the Login Button text label here. Choose from one of Foundry's preset colors, or choose your own custom color, for the Login Button. You can insert your own custom text for the Logout Button text label here. Choose from one of Foundry's preset colors, or choose your own custom color, for the Logout Button. Link to your blog page here. This will allow the Editor to know where your blog is located so that you can make use of the Editor's ability to view your posts right from the Posts List view. Allows you to choose how many active blog posts will be shown on each of the Posts View pages. Choose from several date configurations for how you wish the Posts List to display each post's date. This is a purely aesthetic feature that will inverse the display of the Draft, Future and Active table headers. Allows the rows within your Posts List view to highlight slightly when they are hovered over in the Posts List view. Allows you to customize the labels for the Drafts, Future and Active posts lists for the Posts List view. This label field allows you to customize the text for the Add New Post button. Choose from one of Foundry's preset colors, or choose your own custom color, for the Add New Post Button. 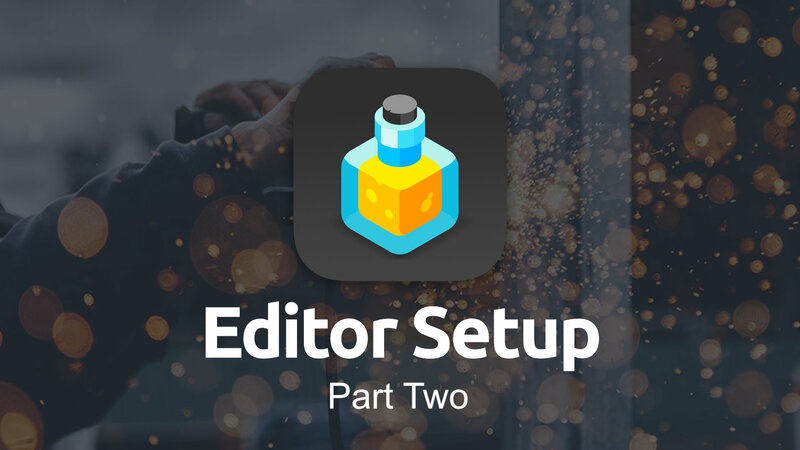 The Editor stack has a simple spell checker for the text field where you write the main body of your blog posts. This option allows you to toggle that setting on or off. The toolbar for the content field where you write the main body of your blog posts can be customized to have specific functionality enabled or disabled. There are five rows of toggle buttons in the settings for the stack that allow you to choose which features you wish to have toolbar buttons displayed for. Allows you to hide the example Posts List view in edit mode. Used for troubleshooting if bugs happen to crop up. This is only really useful for Elixir support. Otherwise you will want to leave this feature disabled.